And now in 2015, band leader Leigh Gracie and the group bring a welcome spotlight to a fresh vocal talent – James Junior. James has been part of the UK soul and gospel scene mainly as an in-demand session vocalist and arranger. He has generally stayed of out the limelight until now. 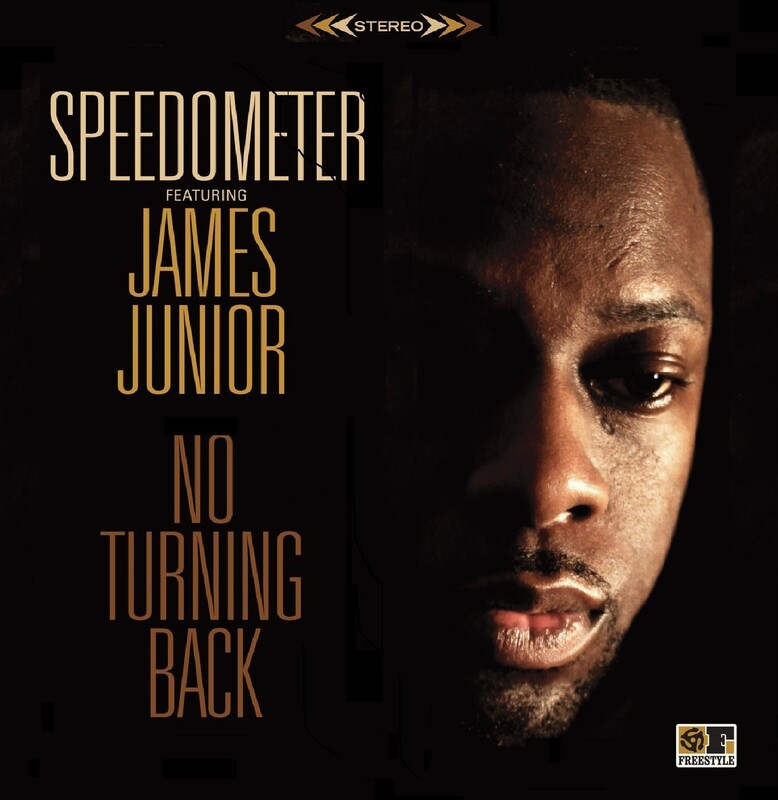 Having grown up on a diet of classic soul and Motown, his collaboration with Speedometer on this album brings together the band’s heavy grooves with James’ rich vocal tones to produce an authentically old school sound – yet totally fresh. You only have to listen to the album opener Don’t Fool Yourself to immediately grasp that this young man’s voice is the perfect choice to grace this new Speedometer collection. Likened to a young Donny Hathaway or Stevie Wonder, James has all the perquisite tone, phrasing and soul to make a big impact on a world awoken to genuinely soulful sounds by acts such as Sharon Jones & The Dap Kings, but is also fully adept to adapt to the varying genres Speedometer specialise in – the latin/bossa nova groove of the title track No Turning Back, the deep, funky afrobeat of Troubled Land and the stomping Northern Soul style track Homebreaker. Buy No Turning Back now on iTunes, from Kudos or directly from Freestyle Records.